Hey all! 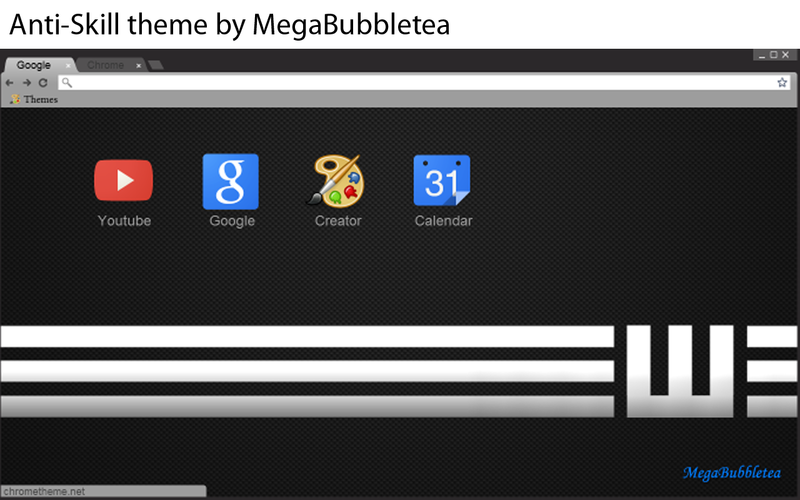 I finally decided to make another Chrome theme after so many months! This theme was inspired from the 'Anti-Skill' group featured in the anime series Toaru Majutsu no Index. I found the wallpaper to be extremely simple yet cool, so I decided to turn it into a Chrome theme for everyone to use.